On the final day of 2014 we bid adieu to 365 days full of ups and downs and memorable moments. We also celebrate the top It Girl of 2014, a coveted title only one starlet can possess. Last year saw Jennifer Lawrence reign supreme, but this year a brand new name has earned the top spot. What exactly is an It Girl, though? What do I look for when compiling my annual year-end list? She's got to have name-recognition, of course, and a number of successes and achievements throughout the year; 2014's list consists of the top actresses, models, singers, and even an international lawyer and human rights activist. As this is a fashion blog, she's got to be a fashion girl and a trendsetter. And she can't just wear whatever is the most popular—no, she must have a unique style that reflects her individual personality. In other words, an It Girl has to have influence. Over her respective industry, over fashion, over the world. Celebrities have an incredibly unique power in order to enact change because they are so well-known and in the public sphere, and I think there's something to be said for a celebrity who takes advantage of those opportunities to make a difference. It's been a turbulent year to say the least. I don't speak politics on this blog very but you'd have to be living under a rock if you disagree with that statement. I'm no celebrity but I try to make a difference where I can, in whatever small way I can impact the world, and I am envious of celebrities who truly have the star power to make a true difference. There's the notion that an It Girl has to be cool and effortless, but I have begun to find a lack of effort incredibly overrated. Why can't we value hard work and strong ambition and the desire to want something? And why must an It Girl only be someone who wears floppy hats and looks impeccably stylish wherever she goes? Why can't she be fashionable and influential in that regard, but also something more than that? 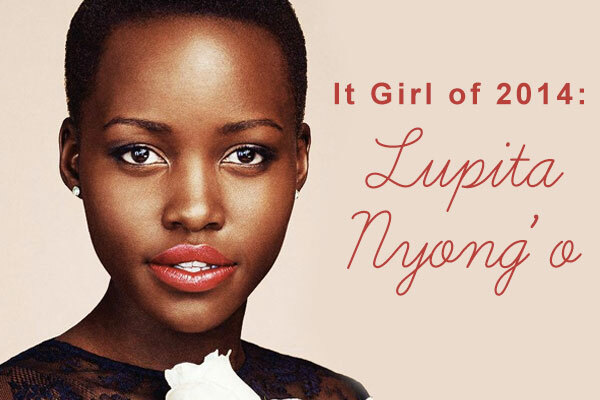 It is for all these reasons that there is no better choice for 2014's Top It Girl than Lupita Nyong'o, the breakout star of last year's 12 Years a Slave and one of the most influential young actresses that I have ever seen. When I first watched 12 Years a Slave I was instantly drawn to Nyong'o's character of Patsey. By the time I had watched the film Lupita was already garnering plenty of Oscar buzz (she later took home the little golden statue and a number of other awards for her supporting role) and I was eager to see her performance. The character of Patsey is probably only on screen for about 15 minutes, but Nyong'o's portrayal was so beautiful and sad that afterwards I immediately went to research the fate of the real-life Patsey. The most frustrating part: her life after Solomon passes through remains a mystery. But that Nyongo's portrayal of the character had me researching Patsey and Solomon and their stories in the wee hours of the night was truly an accomplishment. It is not often that I am so deeply moved by a film. During awards season, Nyong'o proved that she was just as moving off the screen as she was on it. She deservedly won countless awards for her role in 12 Years a Slave and dazzled the world with her bright red carpet looks and her dazzling personality. I was moved to tears during some of her acceptance speeches, where she both acknowledged the hard work and drive that got her to this point and encouraged others to follow their dreams. And I know that many actors and Hollywood types have encouraged younger generations to do the same, but it felt distinctly genuine when coming from Nyong'o. Here is a woman who has proven to be a role model in every sense of the word. And really, that seems to be the theme of the Girls of 2014 list. Nyong'o has taken her newfound celebrity status as an opportunity to make a change and serve as a role model for women and for people of color. 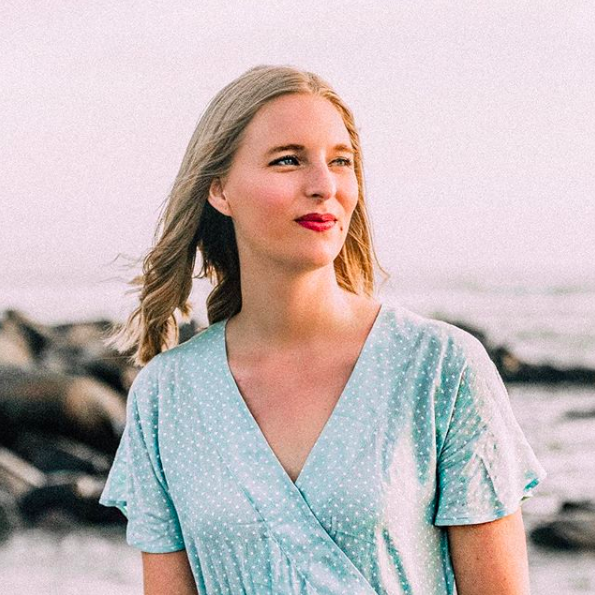 She's given powerful speeches on women's rights (check out her keynote speech at the Massachusetts Conference for Women) and she's taking a public stand on cases of police brutality and discrimination. In all those instances she speaks of the topics she is addressing with intelligence and poise. Of course, Lupita Nyong'o has had a stellar year in terms of becoming a major fashion player as well. Like I said, she could do no wrong during awards season. Her Cinderella-like Prada gown at the Academy Awards was one of the best looks of any celebrity this year, and her dainty headband sparked a revival of the hair accessory once reserved for reigning Queen Bs on the steps of the Met. She donned looks from all the top designers, especially Miuccia Prada. Nyong'o sat front row at fashion week shows and got invites to insider events like the Met Gala and the CFDA Awards. She's not afraid to push the envelope with her fashion choices and she knows what her style is. She was named one of Glamour's Women of the Year, People's Most Beautiful Person of 2014, and has a modelling gig with Estee Lauder. She covered Vogue, Marie Claire, and Glamour, and starred in Miu Miu's Spring ad campaign. She's a fashion It Girl if there ever were one. Nyong'o is a rare breed of celebrity that we don't see very often. She's as radiant as the sun and she's constantly aware of the hard work that got her to where she is and how fortunate she is to be where she is. So many people take their positions in life for granted, and it is truly refreshing to see someone who both enjoys her status as celebrity and is aware that it is a fortunate lifestyle. 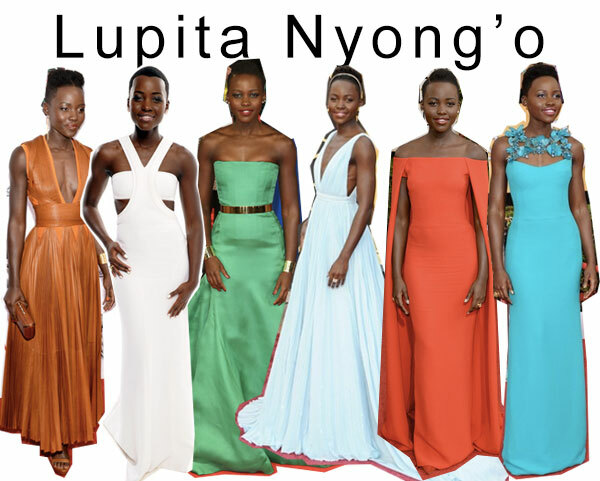 So with an Oscar and a number of other accolades under her belt, what's next for Nyong'o in the new year? How about a top-secret role in the new Star Wars film? Little has been revealed about the film and we still don't know who Nyong'o will be in the new movie, but a new Star Wars is huge and Nyong'o is going to continue to garner international attention for her part in one of the largest film franchises of all time. She's also the voice of Rakcha in next year's live-action version of The Jungle Book. Between those two big films, Nyong'o is a star that will only continue to rise in 2015. What do you think of Lupita and her style? Who is your No. 1 girl of 2014?